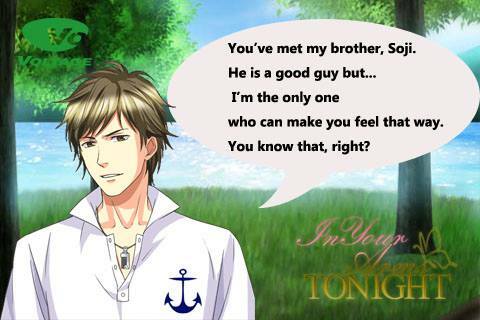 In Your Arms Tonight – Soji | Otome Kyan! Soji (Genji’s Ototo/younger bro) is now being released for gameplay soon :3 anyone interested in him? This entry was posted in Otome Games and tagged android otome game, In your arms tonight, otome game, otome game for iphone by Arisu. Bookmark the permalink.